From a field of 64 incredible digital projects, we’ll soon be down to just one. 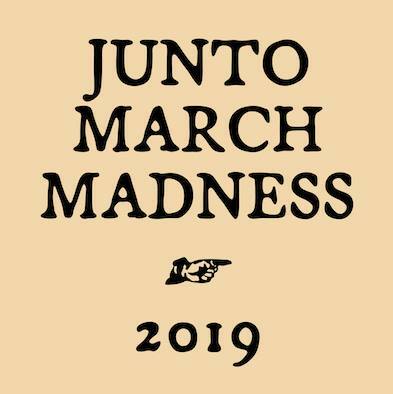 This is the final for Junto March Madness 2019. Thank you to all those who voted, campaigned, tweeted about, or otherwise participated in this tournament. We’ve been gratified to hear from those of you who found new digital resources, rediscovered old ones, or brought students into the tournament. Moreover, while this is the final matchup of this competition, we hope that this is only the beginning of a conversation about digital projects and resources relating to early American history. If you are involved with a DH project relating to early American history (broadly conceived) that you would like for The Junto’s readers to learn more about, get in touch with me and we’ll figure something out. Without further ado, please vote on the final matchup of the tournament, below. Polls will close on Wednesday at 5:00pm (EST). The winner will be announced on Thursday morning. « Junto March Madness Final Four! I’d love to vote, but the Harvard link didn’t work for me.